Shelley Waddington is the wonderfully talented nose behind En Voyage Perfumes. I was introduced to her work this year when a dear friend of mine presented me with Captured in Amber. I was gobsmacked with awe and could not wait to smell more from this house. „An opulent blend of Florentine Iris, Bulgarian Rose Otto, and Vintage Resins form the sensual backdrop for the spicier facets of precious carnation. Base Notes: Dark Vanilla, Antique Sandalwood, Iris Florentine (Orris absolute), Costus Oil, Vintage Resins, Civet and Musks. 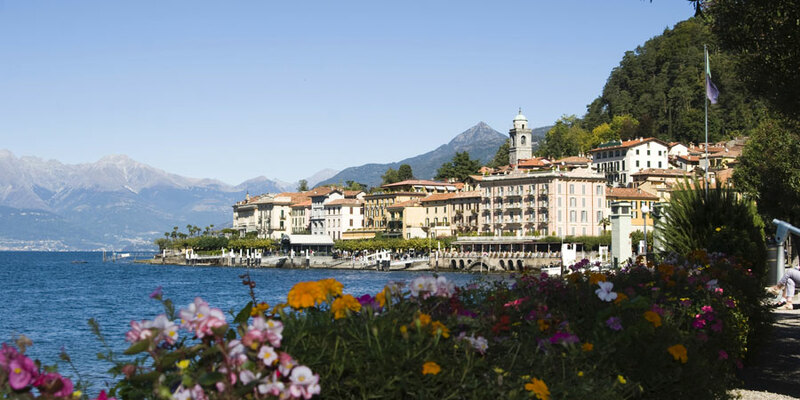 Fiore di Bellagio is a beautiful name- isn’t it? The Eau de Parfum has a beautiful thick consistency which truly enhanced my experience with this perfume – it prepared me for the rich soulful fragrance which bloomed beautifully as my skin warmed. 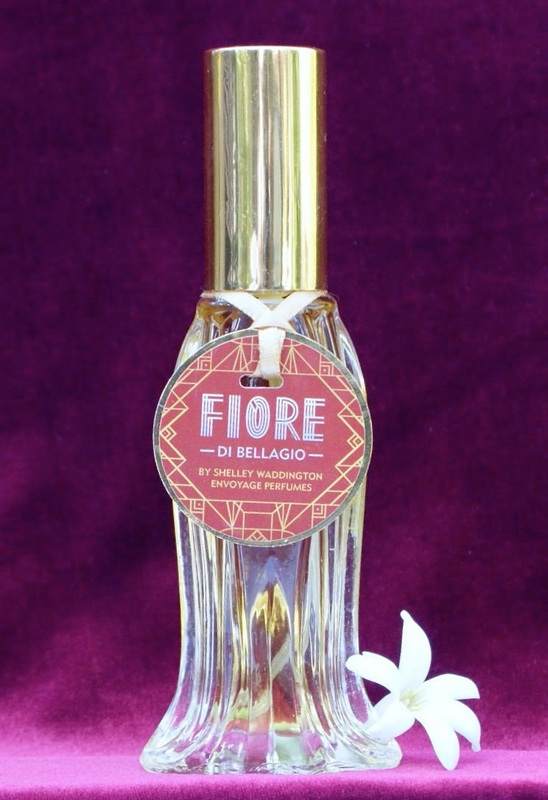 Fiore di Bellagio it opens as a large floral bouquet – a bouquet at a mansion during the Roaring Twenties. This bouquet has been sitting overnight in the garden and the early morning sees dewdrops on the petals of the flowers. As the morning sunshine rises and warms the flowers, the flowers start to give off their exquisite smell. The rays of sunlight have brought out the iris to the forefront and soon the other florals join the chorus. I breathe deeply and exhale slowly steadying myself for the day to come. The perfume enchants and mesmerizes me and leaves me wanting more. I feel as if I have been lounging in a adirondack chair after a night of too much music and dancing overlooking a lake watching the sunrise, hearing the call of the loons and having my nose buried in these flowers. The dewdrops are still present and give the petals a silvery sheen. The memory of last night lingers on and the perfume still faintly present rejuvenates me. This entry was posted in By Sandra, Floral, Fragrance Reviews and tagged En Voyage, Fragrance, Perfume, Review, Shelley Waddington. Bookmark the permalink. This is wonderful article on Fiore di Bellagio. I love this perfume very much and I feel great when I wear it. Thank you Damir. It really does make me feel wonderful too. I hope you find it Val. It made me smile in this dreadful winter grey. Beautiful. Lovely review of a lovely perfume! I am so impressed with this line. Thanks for this review, Sandra. I love vintage inspired scents and Shelley does them so well. Hope to try this one at some point. Sounds gorgeous. I hope you get to try it soon Tara. It is now my second try from the house and I love it. Shelley is amazing. Lovely. The idea of a roaring 20s bouquet, an art deco bouquet?, is tantalising. I love this perfume Portia! It sounds beautiful Sandra,, plus I’m a sucker for anything with iris. Must try. Time for a FB in the new year hopefully. Did you try Hermessence Iris Ukiyoe? Yes I got myself a little 15ml travel of it. I’ve barely worn it though as other perfumes have simply distracted me. Is it one you enjoy? So luxuriant sounding, Sandra! I loved Zelda so I’ll have to try this one too. Lovey review!